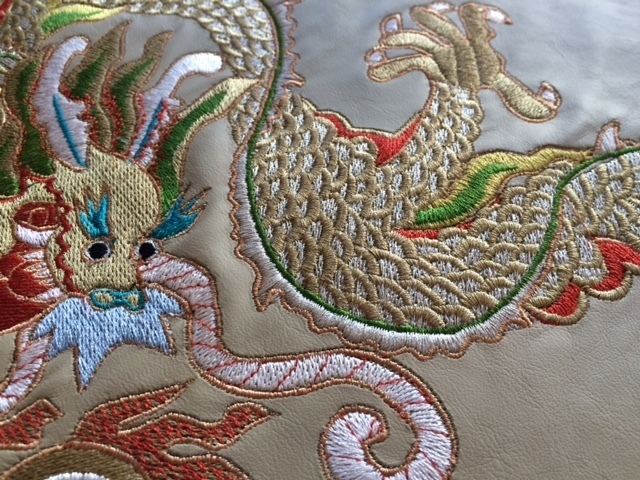 Embroidery can be a wonderfully versitile embellisment but sometimes it can be difficult to match the artistic vision to the reality on some of the more troublesome fabrics. 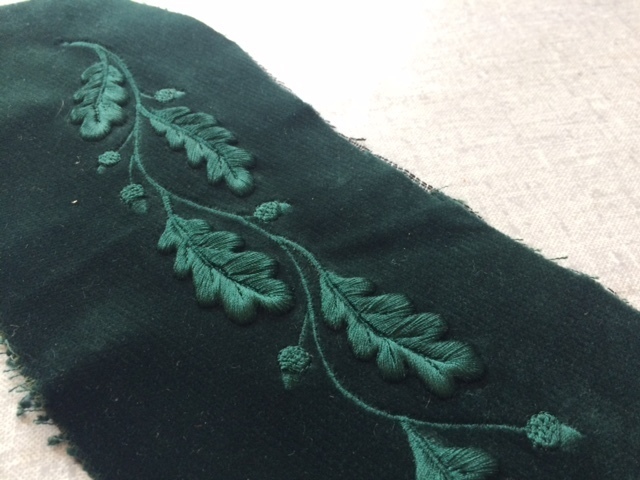 At Hawthorne & Heaney we have been working hard to overcome some of these difficulties on some of our recent machine embroidery projects. 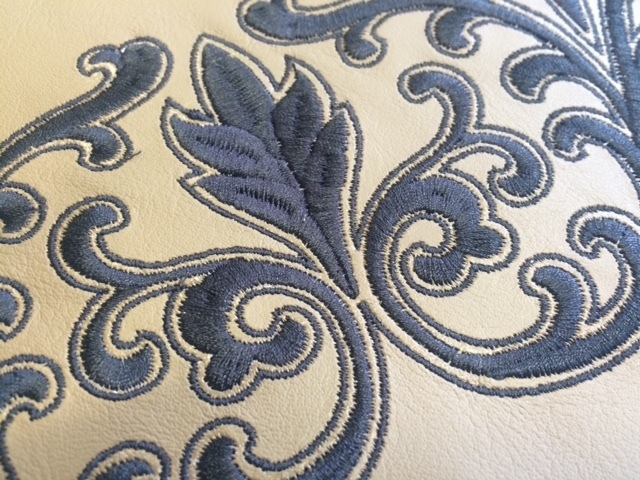 Leather and velvet are two such troublesome farbics as they can not be framed up in the usual way as it will damage the fabric. The leather when framed becomes stretch and the velvet pile can be crushed irreversably. 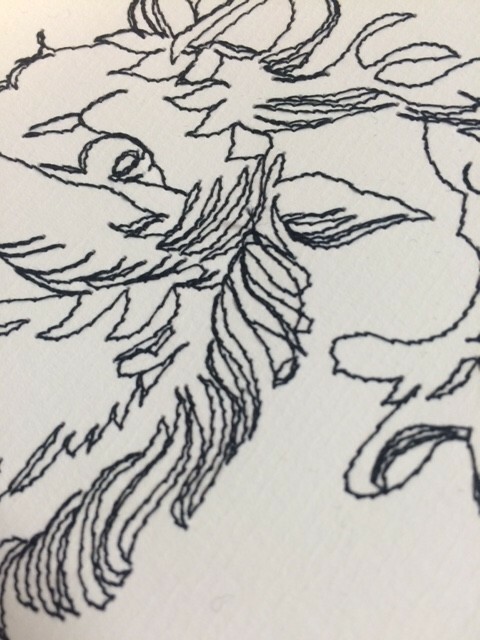 Despite this we have found ways of working around the fabric’s issues and been able to produce playful and detailed embroideries like those you see here. Some of our regular customers may have recieved another example of this in the form of the Christmas cards we produced this year. 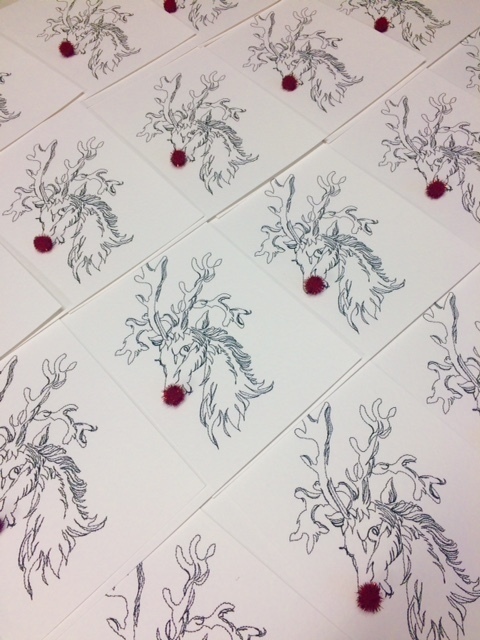 As you can see the cards are all embroidered into the card itself and off set with a tinsel pom pom for some festive cheer. If you have a project or idea that you would like to be embroidered but aren’t sure if it is going to work, let us know as we can probably work a way around it.